We offer the highest quality treatment for all your dental needs. We continue updating our skills through continuing education providing the most advanced dental care. OUR GREATEST REWARD, YOUR SMILE! Welcome to Dental Solutions! I am Dr. Elias Pimentel. I have been practicing dental artistry for over ten years helping my patients find and keep their best smile. Your visits with me and my dental team will be pain-free. Whether you need a routine cleaning, oral surgery, cosmetic enhancements or just a family dentist, we will see to your every need assuring your comfort and delivering satisfaction with whatever procedure you require. 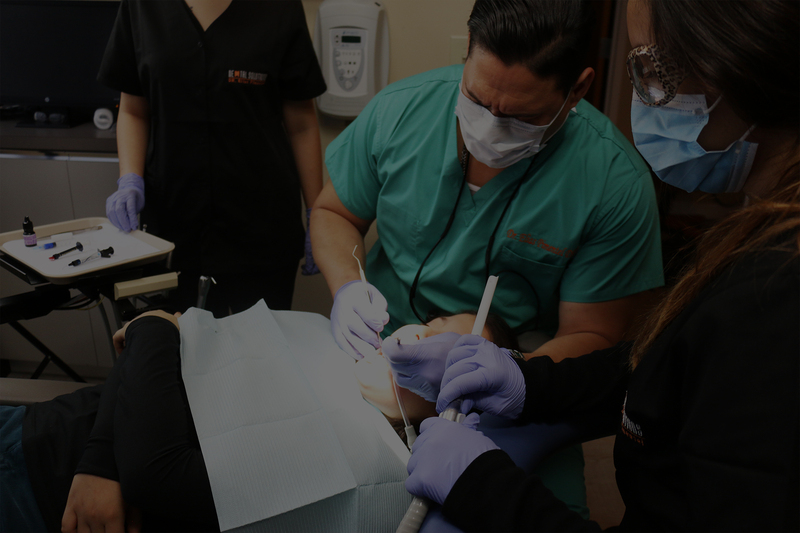 I offer services for routine cleaning and maintenance as well as advanced dental procedures including implants, crown and aesthetic work, and pediatric care. I treat my patients in both English and Spanish (se habla español). I’ve invested in the best education and have continually honed my skills to ensure I provide all my patients the best care and latest dental techniques . My team and I will be attentive to your needs and provide you with a warm and friendly environment. I hope you’ll come join our dental family, and remember….smile! At Dental Solutions we are pleased to offer to our patients the safe, comfortable and effective option of sedation. At Dental Solutions Family and Cosmetic Dentistry, we offer dental implants and immediate function dental implants to patients throughout Fairfield County and all of Connecticut. At Dental Solutions we will help to perfect your smile by using clear alignments best known as Invisaligns. Dental Solutions Offers Technological advancements in natural-looking, tooth-colored dental materials make today's cosmetic dental treatments more durable and predictable. Dental Solutions provide gentle, professional cleanings to ensure your oral health is taken care of. Cleanings are key to detecting and correcting initial problems. "True love is expressed through a smile"
"Happiness is the best cosmetic"